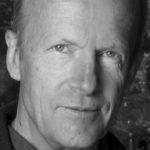 Jim Crace gave a masterclass on editing novels at Stratford Upon Avon Library. Print out your ‘finished’ manuscript and ruthlessly disfigure it by marking or circling any words, phrases or sections which in your heart of hearts you know to be less than entirely satisfactory. Read your manuscript out loud; the poorly expressed passages will sound leaden. Use your Thesaurus to make sure your word choice is entirely effective; never forget that your Thesaurus has a richer vocabulary than you. Remove any heavy and unnecessary evidence of your research. Do all of the above again.